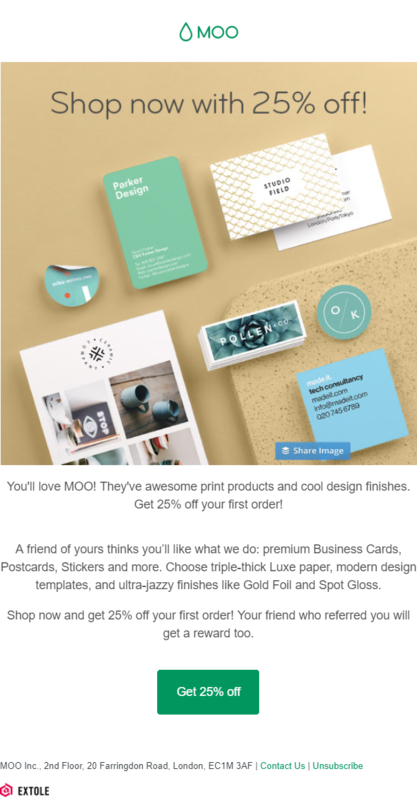 Moo is a platform that allows you to create and customize business cards and other useful elements like notebooks, and more. You can select your design from a range of professionally designed templates. The program’s incentive structure has changed over time, but the current reward seems to be fitting. The new customer will be able to get 25% off their entire purchase instead of the old $15 reward. The participant incentive has also increased from $15 to $20. 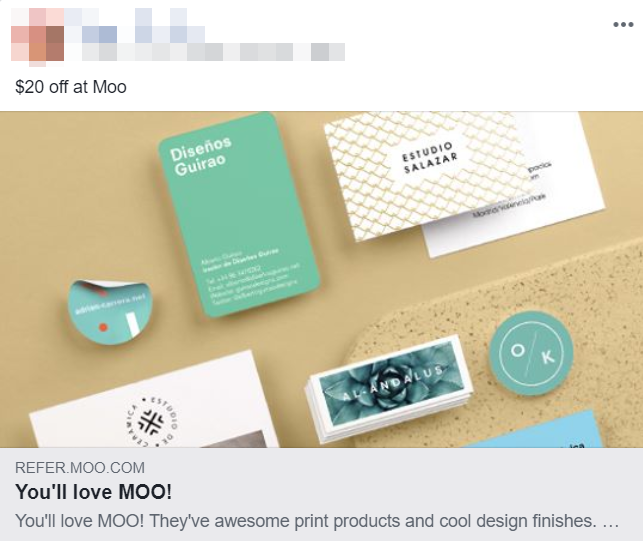 Moo also does a great job of promoting their referral program at different user touchpoints, making it easy to find and use. 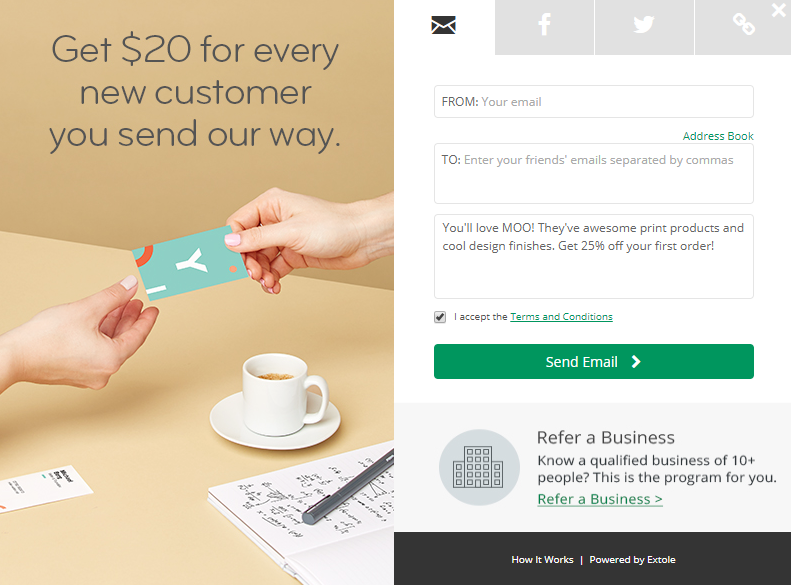 Moo actually offers two different reward options, depending on the type of referral you give. For individuals and small businesses the participant can earn $20, that amount increases significantly to $150 for referring a bigger business. 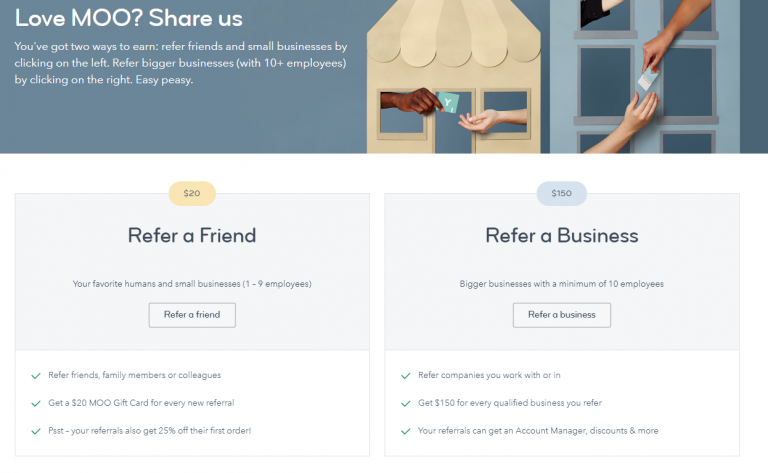 The referral earns a pretty decent discount too, making it a great double-sided program.